Have you ever wondered what it takes to make a Nutshell? Well, the answer is that it takes a lot! Nutshell production is a highly iterative and collaborative process. That’s hard work, but we believe it’s the only way to achieve beautiful results. Let’s take a behind-the-scenes look at what went into making our video for Mango Health. The first step is a consultation. Our fearless leader, Josh, speaks with the client about their concept. What is the goal of the video? What points does it need to get across? At this stage, we also start thinking about some visual ideas. A page from Josh’s notebook. Shhh. Top secret. The next step is writing a script. Josh personally writes the script for every Nutshell that we make. He also consults with the client, revising and rewriting the script until it’s just right. Check out version 1 of the script: Script Version 1, and the final version, 5 revisions later: Final Script. The next step is to start work on the visuals, do some sketches, and create a rough storyboard. Our animators sketch out some ideas. A super exclusive look into John’s sketchbook. Hey, John, that looks more like an apple than a mango! 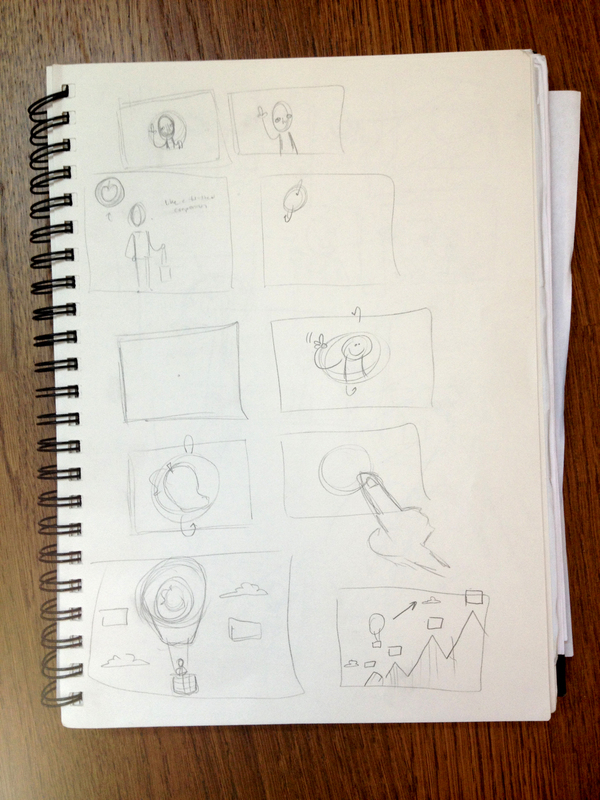 Now, we create some drawings, and turn them into a final storyboard. We send this to the client, so that they can make comments. We make changes based on their comments and refine, refine, refine until happiness reigns. Next, we work on finalizing the most important visual component: character design. We submit our best designs to the client for their input. Trevor and John had a lot of ideas about what Mary, the star of the Mango Health video, should look like. With the character model complete, we create assets. These are the illustrations that will be animated in the video. The final character design, and some other assets. Looking good, Mary! We’re not into tooting our own horns too much, but we’ve really been up to some great things here at Planet Nutshell. We think this demo reel shows that off quite nicely.